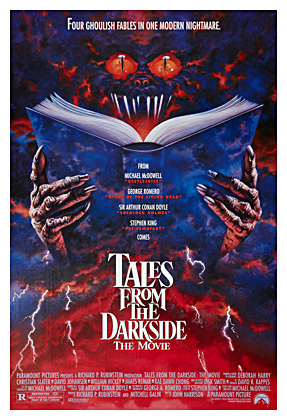 Tales From The Darkside started out as a horror anthology series produced by the legendary George A. Romero, that ran four seasons from October 1983 till July of 1988. 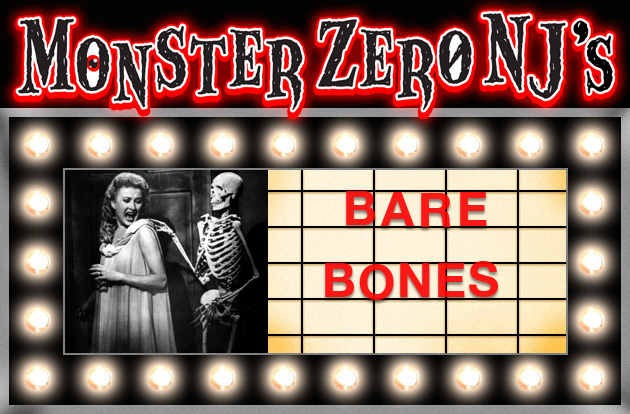 In 1990 a movie version was released presenting a trio of terrifying tales tied together by a wraparound story. In the opening segment we see a young boy (Matthew Lawrence) being held in a cell by a witch (Deborah Harry). She plans to cook the kid as the main course for a dinner party and he tries to stall her by reading her stories from a book she left for him in his cell…Tales From he Darkside! As Timmy reads to prolong his fate, three tales of terror unfold! All three stories and the wraparound are directed by John Harrison, a frequent Romero collaborator, though the script is by Romero and Michael McDowell and based on various works. The first story is the lesser of the three and is based on a short story by Sir Arthur Conan Doyle. Lot 249 involves betrayal, revenge, murder and an ancient Egyptian mummy. 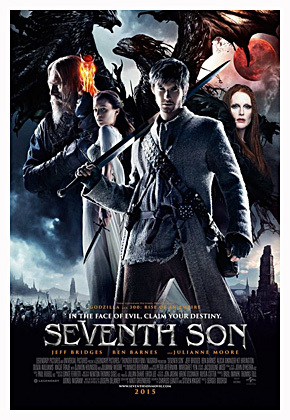 When student Bellingham (Steve Buscemi) is cheated out of a deserved scholarship, he uses the mummy to exact revenge on those responsible, Lee and Susan (Robert Sedgwick and Julianne Moore). The plot for retribution works out fine till Susan’s brother Andy (Christian Slater) tries to turn the tables on Bellingham for some revenge of his own. This segment is kind of ho-hum and comes to a predictable conclusion, but is still somewhat entertaining, has a good cast and is quite gory. Second story is called The Cat From Hell and is based on a story by Stephen King. The tale finds pharmaceutical billionaire Drogan (William Hickey) hiring a hit man named Halston (David Johansen) to exterminate a black cat that Drogan claims has killed the rest of the members of his household. What ensues is a cat and mouse game…pun intended…throughout the dark mansion with predator hunting predator. It’s a fun episode, especially thanks to a lively and over-the-top performance from Johansen and has some really good gore. 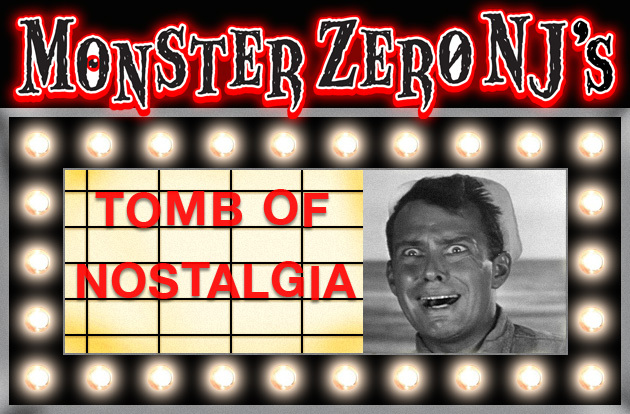 While the ending isn’t unexpected, it’s gruesome fun. Probably the best episode overall. Final tale is a tragic love story called Lover’s Vow. Down on his luck artist Preston (James Remar) witnesses the savage murder of a local bartender by a creature resembling the local building gargoyles. He promises the creature, in return for his life, that he will never speak of it to anyone. On that same night Preston meets the beautiful Carola (Rae Dawn Chong) whom he falls in love with. The two wed and have children, but on one fateful night, Preston reveals his chilling tale to his loving wife…and with horrifying results. Story is the most serious of the bunch which otherwise have a bit of humor mixed in with the chills and as with the others, some nice gore. It too, is also a bit predictable, but works in spite of that. We then return to the wraparound where Timmy is not going into the oven without a fight. Will he be freed or fried?…you’ll have to watch to find out! Overall this is a fun anthology, though not a true classic. There is some nice nostalgia here too, as well as, some entertaining moments across the board. Harrison directs well and it is a fun horror flick in the spirit of Romero and King’s Creepshow from years earlier. Nothing overly special, but a solid good time. Did fairly well upon it’s release in 1990, but not enough to inspire a second go around. 3 books of spooky stories. The presence of Liam Neeson can elevate most films to another level, but even he can’t salvage this thriller which starts out ridiculous and switches gears to ludicrous in it’s last act. 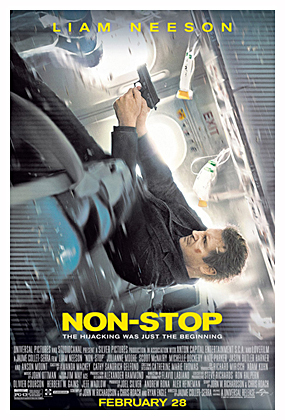 Neeson plays alcoholic and paranoid US Air Marshall, Bill Marks (how did he get this job?) who is framed for the hi-jacking of the very flight he is on. Jaume Collet-Serra (House Of Wax) does a good job of directing this silly film, from a script by three people no less, but can’t save it from the fact that it just gets more outlandish and unbelievable as it goes on. There is some tension and suspense, and certainly a lot to chuckle about, but all it really succeeds in doing is evoking memories of those silly, over the top Airport movies from the 70s, but without Shelly Winters and George Kennedy. Also stars Julianne Moore whose character’s purpose in the film still eludes me. Probably the best movie you will ever see about a guy driving from one place to another talking on the phone in his car. 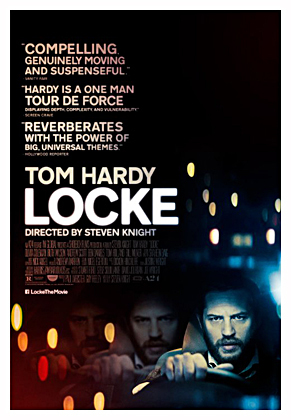 What could have been a real snooze fest is brought to intense life by a riveting tour de force performance by Tom Hardy and skilled direction from Steven Knight, who also wrote the script. The film takes place over just a few hours as Ivan Locke leaves his construction site job to join a woman who he impregnated during a one night stand. 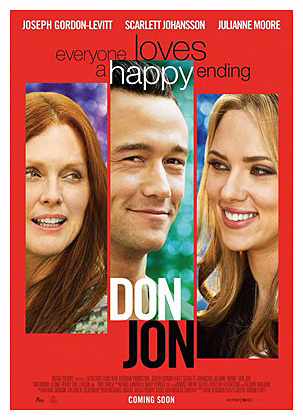 The entire film is he communicating with various individuals as his choice to be with this practical stranger, as she gives birth, causes his idyllic and successful life to come crashing down around him. It takes a lot of skill to make a flick like this work and work it does.